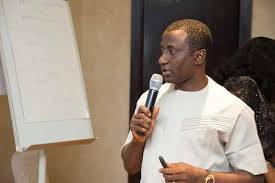 Multiple sources close to the President of Masters Energy oil and gas Ltd, Dr Sampson Uche Ogah, have confirmed that the business man turned politician is broke and currently owe at least 6 months salary of his workers. According to a former employee of Masters Energy Group who resigned recently, many top staff of the company, including one Mr Jackson, who was in charge of logistics and supply chain management, are leaving in droves. “You can inquire from other staff of Masters energy, since September we have not been paid and all we have been hearing from Uche Ogah are excuses and promises that he will soon become Governor of Abia State and then settle our salaries with bonus”. 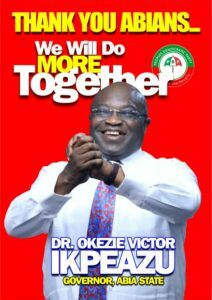 The business man is currently locked in a legal battle with Governor Okezie Ikpeazu over who is the rightful PDP Governorship candidate for the 2015 election. 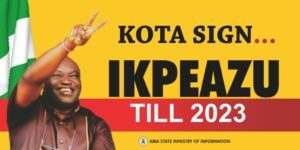 An Abuja high court presided by Justice Okon Abang had in July 2016 declared Ogah as the Governor of Abia state on the basis that the PDP flag bearer, Dr Okezie Ikpeazu, falsifiied his tax certificate and gave false information in his INEC nomination form 001. 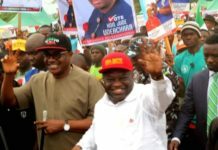 The Appeal Court sitting at Abuja later nullified the ruling by Justice Abang and declared Governor Ikpeazu validly elected as there was no evidence of his falsifying his tax certificate. Not satisfied, Dr Ogah proceeded to the Supreme Court to file an appeal against the ruling of the Appeal court. The Supreme Court is expected to rule on the appeal on the 12th of May 2017. Our sources confirmed that the tank farm of Masters Energy in Port Harcourt is currently empty with those who pre-paid for products threatening to take the business man to EFCC if not supplied with products or refunded of the money paid. Workers at the tank farm and Lagos headquarters of Masters Energy are also resigning in droves over the non payment of salary since September 2016. Recently, Mr Ogah and masters Energy were involved in a corruption probe by the National Assembly and EFCC over the alleged fraudulent importation of 30 cartons of rice from Thailand that was declared as Yeast to escape payment of relevant duties and taxes to the Nigerian government. Dr Ogah and his Masters Energy blamed the clearing agent for the mistake which led to the Chairman of Senate Committee on Customs, Senator Hope Uzodinma, sending a highly publicized letter pressurizing the Customs to release the 30 containers of rice said to have been fraudulently imported through Tim Can port in Lagos. 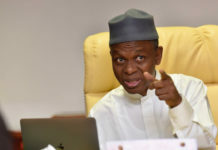 According to a report by Sahara Reporters, the letter from Senator Uzodinma was responsible for the uniform spat between Comptroller-General of the Nigeria Customs Service (NCS) Col. Hameed Ali (retd.) and the Senate which remains unresolved. The senator who is a long term political ally and business partner of Dr Uche Ogah later told newsmen that he wrote the letter to Ali because of a petition by Masters Energy and distanced himself from allegations of direct involvement in the import scam. In the letter dated November 17, 2016, Uzodinma urged Ali to use his “good office” to release the seized items, which were allegedly imported rice declared at the port as yeast. 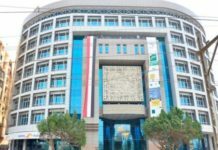 “We have gone through the documents as submitted and wish to suggest that you use your good office to look into the case of this company, Masters Energy Commodities Trading Limited. It is instructive from the circumstances and accompanying documents that the company from the inception of this transaction disclosed the content of the 30 containers as rice. 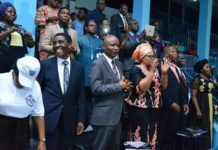 Dr Ogah of Masters Energy was also recently arrested by EFCC from a Lagos court over allegations of forging memorandum of Association and other documents belonging to one Pastor Adeosun. The police alleged that Ogah forged a Memorandum of Under­standing between Masters Energy Oil and Gas Limit­ed and Mut-Hass Petroleum Limited sometime in March 2011. Ogah and some other persons who are at large were alleged to have forged the sig­nature of one Mrs. Bridget Adeosun to seal the deal. The alleged forgery was reportedly committed in Ike­ja, Lagos. The case was how­ever adjourned till October 10, 2016 by the court regis­trar due to the absence of the Magistrate. The police had alleged that the bank aided Masters Energy Oil and Gas Limit­ed to open an account in the name of Mut-Hass Petroleum to perpetrate a fraud without applying its internal control procedures in opening of the account. The police further claimed that the bank allowed the said account to be opened some­time in 2011 at its regional office in Palmgrove, Lagos, in breach of the provisions of the Financial Institutions Act 2004. According to the Police prosecutor, ASP Henry Obi­azi, the offences contravened sections 363 (3) (u), 408 and 409 of the Criminal Law of Lagos State 2011. 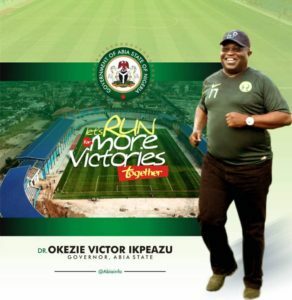 The charges read in part: “That you, Masters Energy Oil and Gas Limited, Uche Ogah, and others at large sometime in March 2011 at Ikeja, in the Lagos Magisterial District, did conspire among yourselves to wit: forgery. 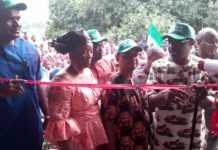 “That you, Masters Ener­gy Oil and Gas Limited, Uche Ogah, and others at large, on the same date, time, place and in the aforementioned Mag­isterial District, did forge the signature of one Mrs. Bridg­et Adeosun and a document known as MoU between Mut-Hass Petroleum Limited and Masters Energy Oil and Gas Limited, with an intent that it may be in any way used or act­ed upon as genuine. When the case first came up last May, the defendants, however, pleaded not guilty to the charges and were admitted to bail in the sum of N200,000 each with one surety each in like sum. At least six of the companies were fingered in fuel subsidy fraud or are still facing charges over the matter. These include Masters Energy, Oando, Eterna Oil and Gas, Seterna Energy, AMG Petroenergy, and Prudent Energy. “Many of these multinationals, oil companies, and other high-level investors in the system, they have a way of manipulating the system that you won’t be surprised if many of them also have contributed to the campaign and funding of some of these political parties and government officials,” said Olanrewaju Suraju, chairman of Civil Society Network Against Corruption, a coalition of anti-corruption organisations. On October 19, 2011, a vessel, MT Zhen Star, purportedly docked on Nigerian waters with 58,000 metric tonnes of petrol owned by two companies – Masters Energy Oil and Gas Limited and Caades Oil and Gas Limited, according to findings by a technical committee set up by the Nigerian government in 2012 to investigate subsidy payments. 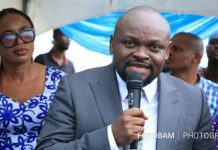 Masters Energy claimed it discharged 28,000 metric tonnes of petrol from the vessel in the presence of officials of the Petroleum Products Pricing Regulatory Agency, Department of Petroleum Resources, Navy, Customs, and others. In reality, however, MT Zhen Star does not exist, but Masters Energy collected N2.9 billion as subsidy claims from the Nigerian government, the committee concluded. Despite the indictment, Masters Energy was among some other indicted firms that were never prosecuted. According to two of the staff of Masters Energy that spoke to our reporter, Dr Ogah’s financial problems are linked to his “ill fated involvement in partisan politics”. Prior to 2015 election, Dr Ogah allegedly withdrew billions of naira from his company accounts to sponsor various political expeditions culminating in his failed run for Abia PDP Governorship ticket which he lost to the incumbent Governor after spending billions of naira to “water the ground”. 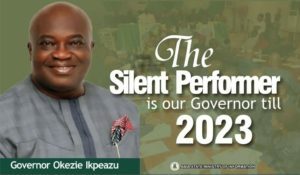 After the election he continued to sponsor litigations against the incumbent with some estimating that he has so far spent more than N10b in his bid to become the Governor of Abia State in a project he sees as likely to give him a financial life line through direct access to the state’s treasury.